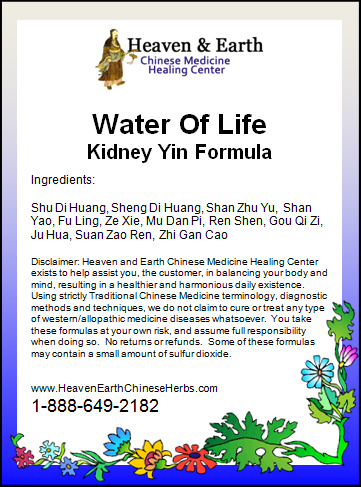 Our Heaven & Earth CMHC Water Of Life Kidney Yin Formula is a scientifically advanced combination of Chinese Herbs that focus on strengthening the Water Receiving aspect of your Kidney Organ System and general moistening of other Yin Organ Systems such as your Lungs and Stomach. 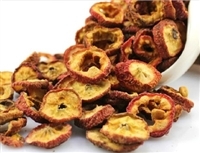 Kidney Yin Deficiency can occur as a result of personal lineage, with years of unresolved stress, smoking history, lack of proper rest or rejuvenation, very hot environment [excess situation], excess sexual activity and drug use. 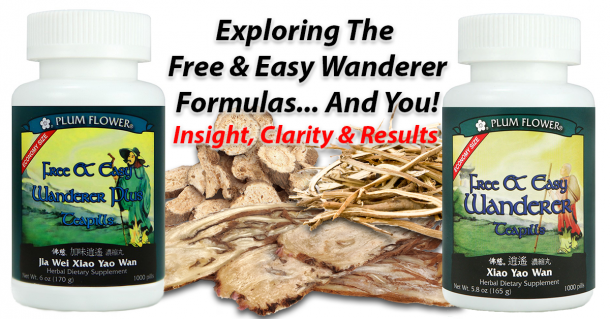 Deeper Chinese Medicine conditions may occur with Yin Deficiency Patterns including Wasting and Thirsting Disease, Heart Fire & Liver Yin Deficiency. Our Water Of Life Kidney Yin Formula is an absolute essential formula for the old and young alike. It can be taken as a restorative or preventive tonic whether you are extremely ill or in perfect health. 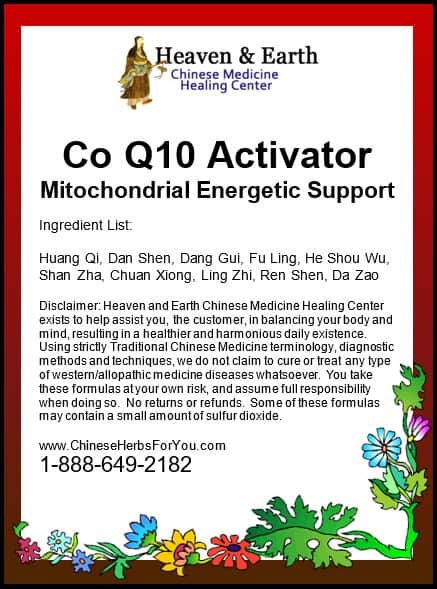 This again shows the advanced multi-dimensional abilities of Chinese Herbal Medicine.